Sankalpdeal again back with amazing deal for only new ebay customer. This time they offering 50gm Move worth Rs.59 for only Rs.19 with free shipping. 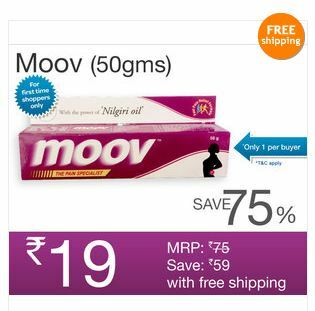 How to get Moov Pain Reliever 50Gm worth Rs 75 @ Rs 19? In case of multiple purchases, the order will be cancelled and the total amount paid will be refunded. Get Women's Levi's Jeans worth Rs 2399 @ Just Rs 499. They have only few options left and sizes are available so grab it fast before it expiry. 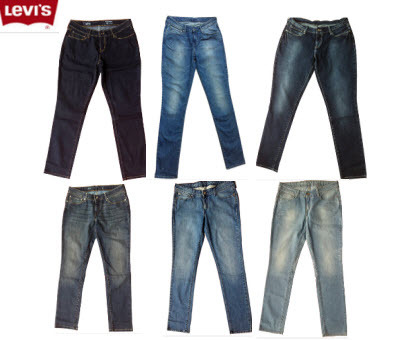 Rs 499 is a great price for buying a Levi's Jeans. How to buy women's Levis Jeans at Rs 499 [MRP: 2399]? 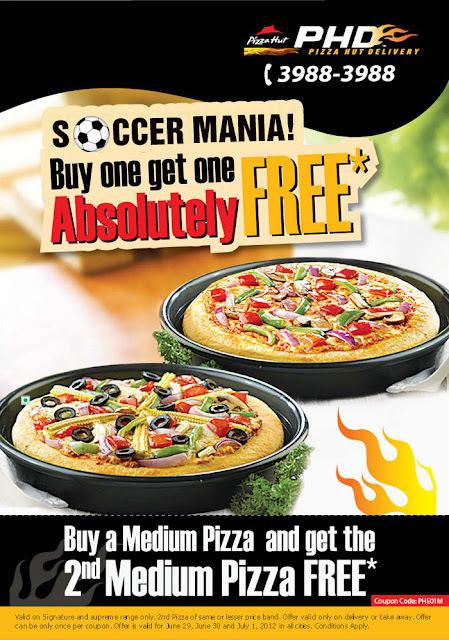 Few minutes back we have posted a Pizza hut BOGO offer and now we have a Domino's offer to get Buy 1 get 1 pizza free. 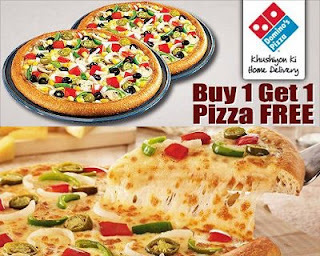 How to get buy one get one free offer at Domino's? Offer is valid only on online orders. Valid: Friday,29th June & Saturday, 30th June. Not valid on simply veg/non-veg pizzas, combos and desserts. Click here to order it right away. This weekend is great! Get Buy One Get One off at PIZZA HUT Delivery & Takeaway. Buy a medium Pizza and get another for free. How to get BOGO offer at Pizza Hut? Enjoy buy one get one offer at pizza hut.